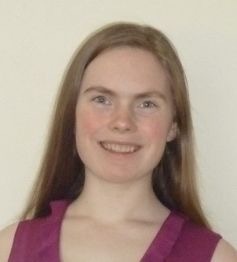 I’m so pleased to introduce Audrey Greathouse, author of The Neverland Wars, who has just signed a contract with publishers Clean Teen. Her answers are fascinating and perceptive, and are a great insight into how persistence pays off for a hard-working, talented writer like Audrey. Firstly, congratulations on your publishing deal with Clean Teen…very exciting! Can you tell us a little about this press? It’s a very interesting publisher. I’m signed with Clean Teen, a publisher that rates and posts the drug, violence, language, and sensuality content of each of their books. Clean Teen’s content disclosure system is founded on the idea that readers should be informed…and books shouldn’t be censored! They publish all sorts of young adult fiction and have an imprint that does new adult, so I’m really happy to be with them. What was the spark that was the catalyst your story? If we’re talking about what gave me the initial idea for the book, strangely enough it was listening to Globus’s Europa…a very intense and theatrical song about the many Euorpean wars of the past few hundred years. I must have been in a light-hearted mood that day, because my mind wandered to the idea of war in a very whimsical environment. Enlighten us on how Book Country was so essential in your writing journey. I met Lucy Silag, the director of Book Country at the San FranciscoWriters Conference earlier this year and I’m certainly glad for it! I rallied a few other YA writers from the conference and we all joined. I was surprised how much feedback I got when I uploaded my manuscript…all from other writers who knew what they were talking about, instead of friends who were always just in awe of the fact that I’d written a book! The site’s ability to upload draft after draft makes it a great tool for writers who are focused on revision and want to get their book to a submission-ready state. Plus, there are a lot of security features that make me feel more comfortable about putting unpublished work up…I’ve heard too many stories about authors soliciting beta readers online and later getting their work stolen. This is a community, and everyone is in the same boat. Can you tell us a little of your career and background? I’ve always been a writer, thanks to the NaNoWriMo program, but once I hit college I knew I was going to have to do a lot of extra-circular groundwork to launch my career. The road to being a novelist is so much more alinear and strange than, say, being a programmer. The degree is helpful, but it doesn’t guarantee you anything. I began publishing in small, online literary magazines and occasionally getting short stories and poems into print publications too. I wrote speculative fiction columns for Fantasy Factory before they shut down, and still write the column for Miracle. I looked for opportunities, and at one point wrote a novella that was really tailored to one of my previous editor’s interests. He was looking for serial fiction, and that’s how I published my first YA book, Dr. Derosa’s Resurrection. I finally started paying some bills with my writing when I got involved with HOOKED, a Silicon Valley project that delivers flash fiction in the form of text messages. After five years of querying though, it sure feels good to land a book deal! Join a local group of writers and attend in person writing events. Receive online encouragement from staff and published authors. Young Adult is a very popular genre. How does your book stand out in the market, what makes it different? And whom do you see as your readers? 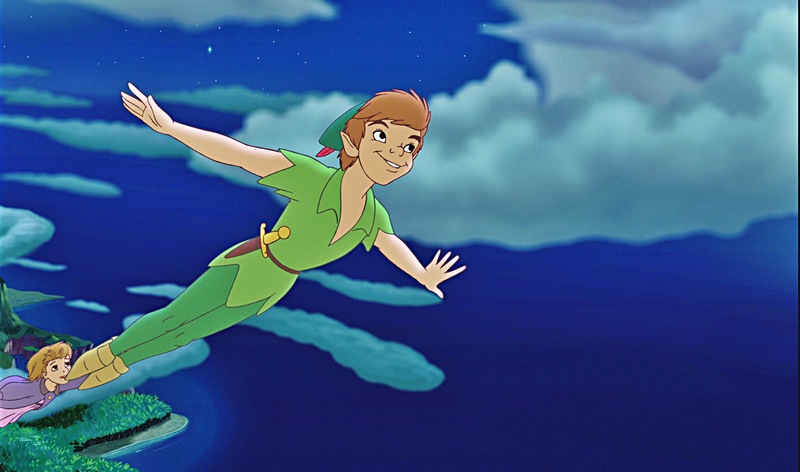 The rights to Peter Pan only entered the public domain in the US in the past ten years, so not too many books have been broached Neverland. Even though it’s children’s literature, I think the story resonates much more with adolescents and new adults. When I was a teenager, all the YA I saw seemed to be focused on growing up, getting a car, getting a boyfriend…no one wrote about what I was feeling: an uneasy fear of adulthood and a desperate desire to go back to being a kid. I wanted to write a book for young women and men who shared that feeling, something that tells people, “yes, it’s normal to have doubts about this whole growing-up thing.” My protagonist is a modern girl…and nobody’s ever talked about whether or not you would get cell-reception in Neverland. I think setting such radically twenty-first century characters and problems in a 19th century fantasy land is going to make this book stand out. You have done a great job in promoting your book on your blog and twitter. Can you give up some tips on what has worked particularly well for you so far in social media? Everything I needed to know about selling art I learned from Amanda Palmer. If you want people to be invested in you, you have to be invested in them. You have to reach out. Regardless of whether they’re reviewers or fellow authors or potential readers, you have know what is up in their world. Figure out what’s important to them and what they’re working on. Connecting with them and asking questions that show interest in their projects is how you find cool, new people, and build relationships. Just spamming people with information about yourself or not taking the time to research what they’re up to is a turn-off for anyone. Can you discuss the key character/s and how you shaped the arc of her/ their development? Gwen Hoffman, starts off living a fairly normal teenage life, even if she isn’t an entirely normal YA protagonist. She’s still got a dress-up box, doesn’t wear makeup, keeps her stuffed animals on her bed, and tells tall tales. Her eight-year-old sister, Rosemary keeps her tied to her own childhood, and as the story progresses she has to make a lot of decisions about how much she really wants to stay in Rosemary’s world. Her arc is only beginning in this first book of the trilogy, but I think it is fun to watch her go from reluctantly resigned to growing up to conflicted and confused about whether or not she really wishes she could still be a kid. Is there something in particular which you love about your book, like the cover, or do you have a favourite scene of which you are proud? In contrast, was there a particular challenge that seemed insurmountable at times? We’re still working on cover art, but the executives want to make sure it reflects my vision for the book, so I have high hopes that my small part helping the cover designer will produce a really remarkable face for the book. 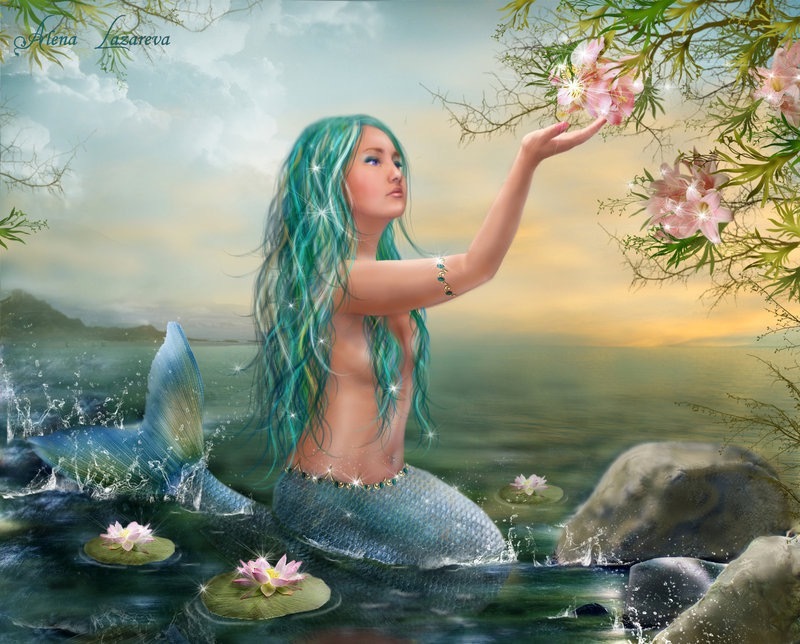 I think if I had to pick my favorite aspect of the book, I would say the mermaids. I never explicitly state their age, but they do come off very teen-agerish themselves. Mermaids are a magical middle-ground between humans and the mysteries of ocean life, and in this book they’re a very beguling middle-ground between the naïve innocence of the lost children and the more complex, conniving intelligence of adult characters from reality. They’re very much on their own side, which makes them a strangely neutral force in a high-stakes conflict. I’d say the most insurmountable thing was having to do heavy revisions and really shape the book into something that wasn’t just my fantasy, but a publishable work of fiction. You know the phrase ‘kill your darlings’ ~ editing those parts that are not needed, but to which you are very attached! Did you have some edits that made you ‘bleed’? Oh yes—it’s an old term but I believe Faulkner popularized it. I definitely killed some darlings. I’d never cut so much out of a manuscript before…but it’s probably why this one finally got accepted! The opening had to be completely gutted and rewritten…I spent too much time on Gwen’s normal high-school world. I was devastated to virtually cut out Gwen’s best friend character, but I was lucky to have been given this advice from Andrew Todhunter at the time: you’re not killing them, you’re just benching them. They aren’t going to play in this game, but if they’re good, they’ll go in some other story. Naturally, I’m looking forward to someday writing the school-story those bits belong in! You didn’t choose to self-publish. Can you tell us a little about why, and what main advantages/ lessons you have learned, so far, in going with a contract with a traditional publisher. It’s the difference between moving by yourself or with friends. Most of what they’re doing I could technically do on my own, but it would be harder, and then there’s some things that I just couldn’t lift without help. 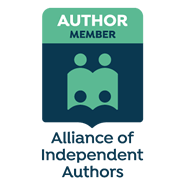 They’re a rapidly growing publisher, and their distributor gets their books into Barnes and Nobel and in front of reviewers at trade publications. I couldn’t do that self-publishing. I still feel that I’m very much in charge of my own social media campaign – as all authors have to be, these days – but I know I have help. They’ve done this before and can give me all sorts of pointers, they know what works, and they’re willing to invest capital in the promotional tactics that need it. I don’t think I would have the wherewithal to do this if I didn’t have a team cheering me on and catching me when I start to fall short. Have you thought about what’s next, after The Neverland Wars, based on Peter Pan? Do you have any plans for a sequel, or a series? I’m happy to say this is the first book of a trilogy. While I don’t have contract in hand for the next two books, I have been advised to start work on the sequel. I’ve always got a million ideas for new books, and fourteen different manuscripts already drafted for other books in various genres! The Neverland Wars Trilogy is going to get all my energy for the next couple of years, but even after that…you can certainly expect more books from Audrey Greathouse! Finally, there are many prospective writers out there toiling away on their manuscripts. Could you share any hints or advice with them about your daily writing routine, helpful mentor, and/or using social media to promote your work. Thank you so much Audrey, for your honesty and insights in this great interview. I love the advice about ‘killing your darlings”… you’re not killing them, you’re just benching them! We’re really looking forward to reading your book when it’s published!